your practice’s products and services, and help reduce patient anxiety. Customizable features so can you control what your patients to see. Imagine having your own custom waiting room TV program. With Bitebank, your waiting room can have it's own education TV channel, branded to match your practice. Patients can easily educate and engage themselves while they wait, reducing patient anxiety and perceived wait times. 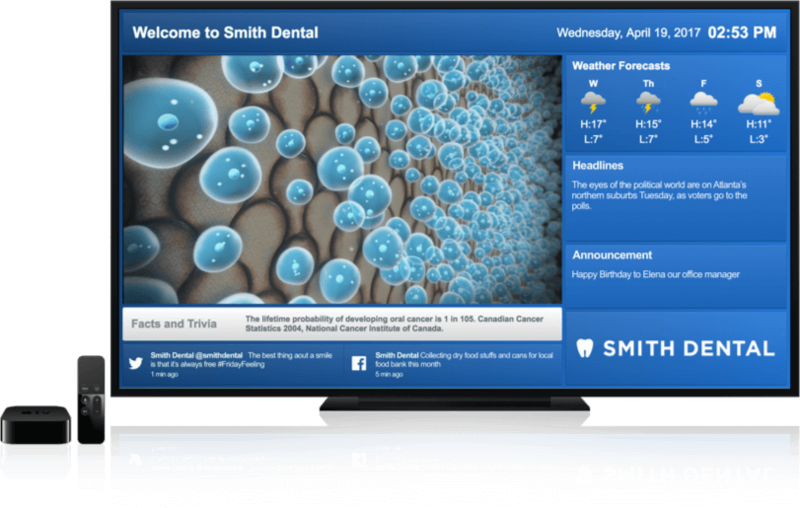 Promote your practice services, create patient dialogue through social media, show weather, local news and much more! Introducing Mr. Blue! Educate and Entertain your Patients. To download Dental Patient Education app, visit the App Store on Apple TV. Apple TV and App Store are trademarks of Apple Inc., registered in the U.S. and other countries. SAVE 40% Off your one-time $999 Hardware and Setup cost! 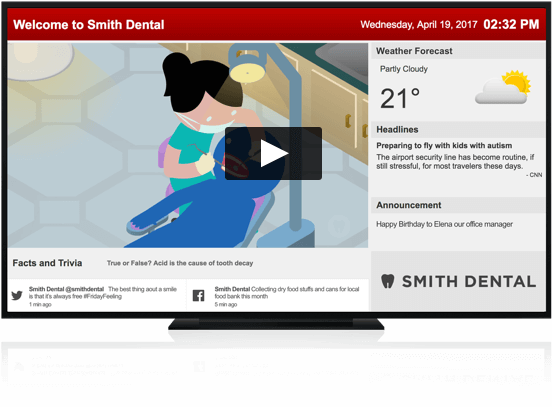 Get 20 FREE dental patient education videos for your website when you sign up!